Mgbody Magnesium Original Roll On is easy to apply just roll it on and it really works to reduce post-workout muscle pain and inflammation. Original Magnesium Roll On is so versatile that it helps relieve pain associated with PMS cramps, arthritis, anxiety, headaches, and muscle aches and pains. 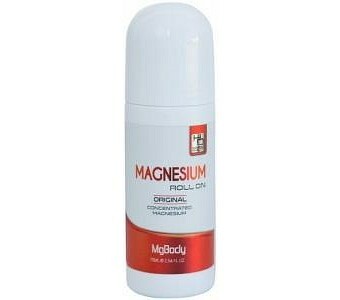 Ingredients: Organic Magnesium Chloride.